When: Thursday, July 12, 5:30p.m. If you aren’t able to make, please consider a donation to support our effort to reach the 8 Million pet owning swing voters in 10 battleground states who will provide the 3% firewall in the battleground states. Formed to bring attention to the presumptive Republican presidential candidate’s history of cruelty and nefarious behavior, the Mitt Is Mean Super PAC was launched this spring and has been embraced by pet lovers around the country who find the infamous story of Romney’s treatment of his dog, Seamus, intolerable and unforgettable. 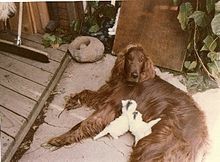 In 1983, the Romney family took a 12-hour drive from their home in Massachusetts to a vacation spot in Canada with their late Irish setter contained in a crate strapped to the roof of the family car. As the story goes, Seamus experienced a bout with diarrhea during the voyage and was subsequently hosed down by Romney at a gas station. Mitt Is Mean will continue to bring attention to the cruelty of Romney, and the GOP Mean Machine’s Corporations Are People agenda throughout the 2012 election cycle by mobilizing the 8 million pet owning swing voters in 10 battleground states. Stay tuned by visiting http://www.mittismean.org. When: Sunday, July 8 Noon to 3 p.m. 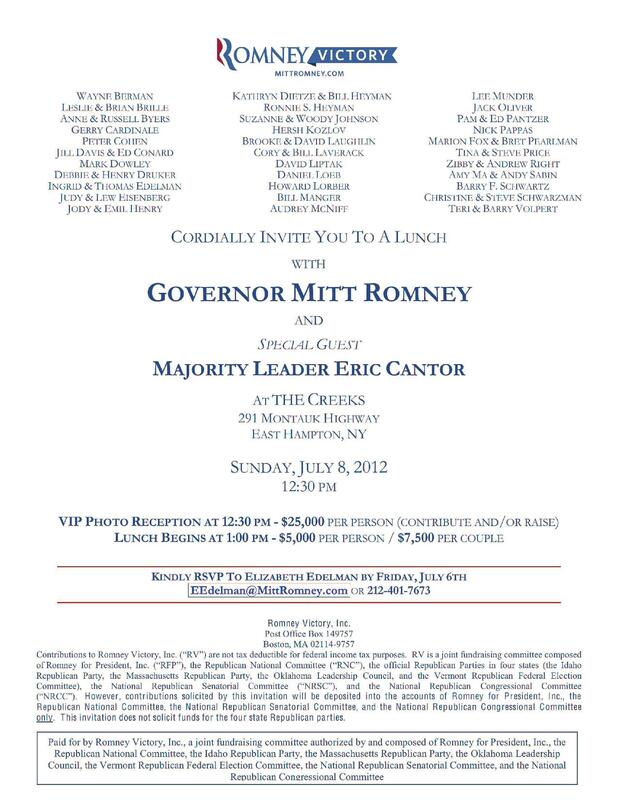 The anti-Mitt Romney Super Political Action Committee, Mitt Is Mean (www.mittismean.org), urges action on Sunday, July 8, from Noon to 3 p.m. outside the “The Creeks”, a private, gated community on The Hamptons, site of a fundraiser being held for Romney by Tea Party favorite Eric Cantor and Oil Super Lobbyist Wayne Berman. 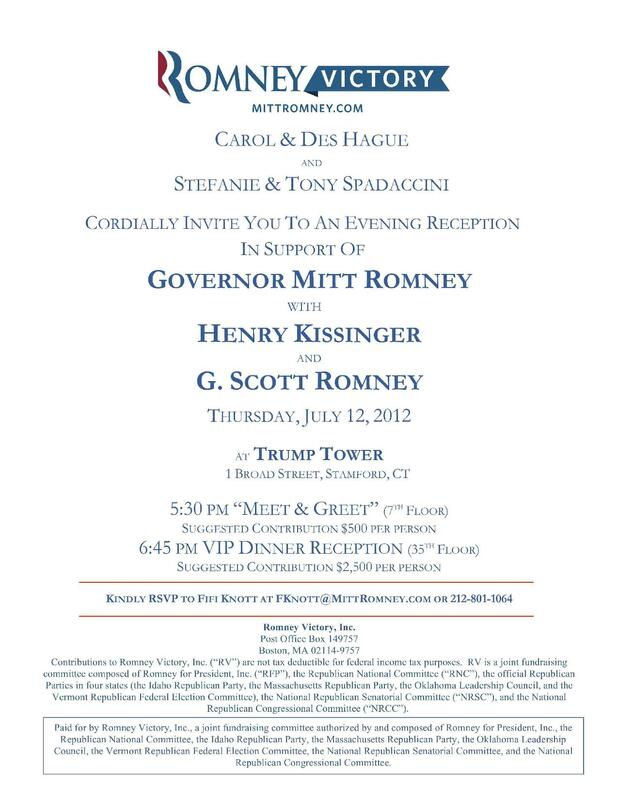 The lobbyist hosted fundraiser, which includes a private, $25,000 per person reception, will fund the Romney campaign and GOP Mean Machine’s Corporations Are People agenda. via Authors bite at Romney dog tale in new book – TheHill.com. 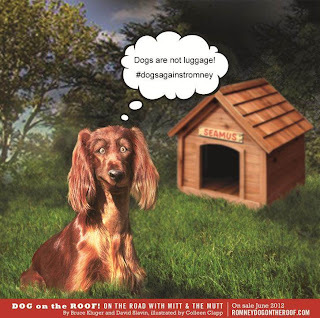 We Can’t Wait for the Book – Remember Poor Seamus…..
Did you think that the Mitt Romney dog on roof story would go away? If so, think again. The story, which has become a thorn in the side of presidential hopeful Mitt Romney, is once again being unearthed despite his efforts to put the issue to rest. Thanks to a new book being put out by Simon & Schuster next month, Romney will likely have to brace himself for yet another wave of animal rights activism and unwelcome negative press. 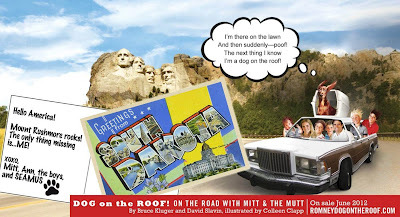 via New Book, “Dog on the Roof”, Satirizes the Mitt Romney Dog on Roof Story | Petside. horses than he did for his dog, poor old Seamus! The Romneys own a herd of dancing horses, competitive dancing horses (not just regular, run of the mill stallions, or even just derby racing horses. Most Americans do not have the choice or the financially stability to own a horse, while the Romney family owes eight. Dressage horses can come with six-figure price tags that require sponsors like the Romneys to pay for veterinarian visits, care and support staff, and insurance. They also cover the enormous burden of paying for the animal’s transport so it can attend in dressage competitions further away. According to Kenneth J. Braddick, a dressage enthusiast, “it runs thousands of dollars a month to maintain.” The sponsors, including the Romneys financially look after these horses like one would a professional human athlete; complete with a farrier, chiropractor, and even masseuse for the horses. via Mitt Romney’s Dog and Horse Problem.